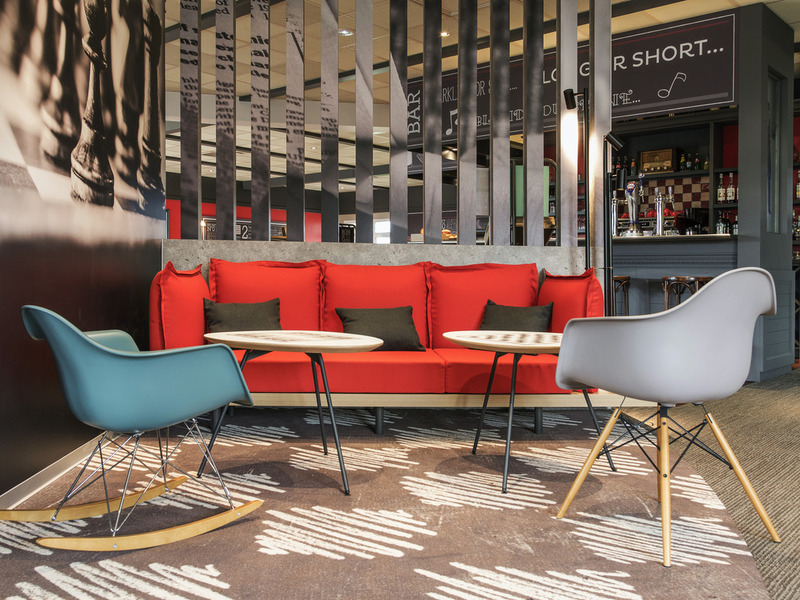 Welcome to the Ibis Falaise Coeur de Normandy where you will always be received in a good mood. You will be charmed by our friendly and warm spaces and enjoy all our services to make you feel at home. The ibis Falaise hotel is located in an oasis of greenery. We offer 53 soundproofed rooms with free WIFI, our ibis Kitchen restaurant, which is open from Monday to Saturday for lunch and evening meals, a 24-hour bar, a relaxation lounge with pool and a fi replace and a fitness center. Enjoy our terrace in warm weather. Free private car park. During your stay in Falaise, visit the castle of William the Conqueror, the Memorial to wartime civilians and the Musée des Automates window puppet museum. Sights include the medieval castle, aquatic center, Automation Museum and the château de Vandeuvre.